Be victorious this Valentine's Day: Win a hamper! Be victorious this Valentine’s Day: Win a hamper! As John Paul Young once said: “love is in the air”, or so it will soon be as Valentine’s Day fast approaches. Will you be celebrating Saint Valentine’s Day with a cosy meal for two or a fantastic feast for one? Either way we have you covered, as we’re giving away two incredible hampers to make sure that you’ll be celebrating in style. Because nothing says “I love you” like a giant white teddy bear holding a plush red heart, this is the perfect gift for any old softie out there! The delicious Drappier Rosé Champagne can be enjoyed by both of you as you feast on delicious Lindt Lindor Milk Chocolate Cornet Truffles and Belgian Milk Chocolate Caramel Pralines; the only real dilemma you’ll have is knowing which ones to tuck into first. Click here to check out the full contents of the Giant Teddy and Rosé Champagne Hamper. Who needs to go out for a romantic meal when you have cheese and port waiting for you at home? This timeless combination features Snowdonia Cheese Co. Black Bomber Extra Mature Cheddar Waxed Truckle and Ramos Pinto Collector Ruby Reserve Port. As if it couldn’t get any better this delicious hamper also contains Cairnsmhor Crushed Black Pepper Crackers and Belgian Milk Choc Mousse Pieces­; perfect for afters. In fact, it’s so delicious you simply won’t want to share. Click here to check out the full contents of the Cheese and Port Choice. Select your choice of hamper with the Rafflecopter widget below. Complete your entry by leaving a blog post comment explaining why you deserve either the Giant Teddy and Rosé Champagne or the Cheese and Port Choice. The competition will close at 12 noon on Monday 8th February 2016. One winner will be selected for each hamper. 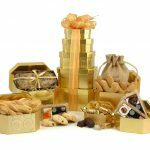 Click here to see our full range of Luxury hampers. 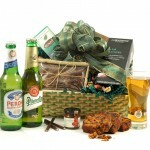 Win a Beer Hamper for your Dad this Father’s Day! Previous Article Looking for yuletide delight? Win a wine hamper! I’d love to win the Giant Teddy and Rosé Champagne Hamper as it would mean that February is a much better month than January was with car and house problems. I’d love the cheese & port hamper to share with my partner. We deserve a treat! What a lovely prize. Would be great to win. I would LOVE the Cheese and Port hamper to share with my boyfriend because……..
I’d love the Giant Teddy & Rosé Hamper to enjoy with my fiancé and aha thank you for all of his hard work over the past few months! He’s been working 6-7 days a week, often not having a day off to save for our wedding in August. I’ve also just got a new job so it would be nice to celebrate that too! Fingers crossed! I deserve to win it to give it to my fiance, he’s been amazing the past year…well, he’s awesome generally! 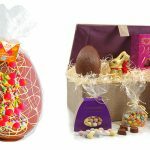 I wan’t to treat him to this lovely hamper. I forgot to add I’d like the Giant Teddy and Rosé Champagne Hamper, of course. I’ve never had a hamper so always wanted one as a gift. I’d love the cheese hamper. Would adore the Giant Teddy hamper, my little would adore him! I would love the cheese and port choice because my mum loves both. I would love to win this for my mum as she aint had a good start to 2016 and think she would love it. I’d love the Giant Teddy and Rosé Champagne Hamper. Cheese and wine, together so fine, reminds me of that hubby of mine. Like wine, he’s sweet, a real treat, always makes my heart skip a beat. So, to this hamper, an emphatic ‘yes please’, their charms make me melt like cheese! I’d have to pick the Giant Teddy and Rosé Champagne Hamper – what a cutie! Giant Teddy and Rosé Champagne Hamper would be smashing. It’s not the best time of year to be single, but I’m happy enough…but it would be nice to have some treats to help me on that day. I would love to win the Rosé Champagne Hamper because me & my partner are not doing gifts this year as we are saving for our wedding so it would be such a lovely treat for us to share! As there is no one special in my life at the moment, the Cheese and Port hamper would make me feel pampered. As cheese to nibble a nice warming port and a soppy film.Would make me feel just as special. Would love the Giant Teddy and Rose Champagne hamper. I have been with my partner for 16 years and it would show him how much I love him. Perhaps there would even be a proposal. Who knows? 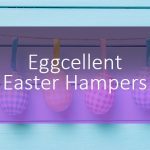 I deserve a hamper because after Christmas with all the family now gone back to their various homes, the weather is dull and the days are long and dark this would really cheer me up and I could invite my family back to see me to share it with them. I would really like the Giant Teddy and Rose Champagne Hamper. Thank you. My wife really deserves this hamper, for the care and attention she has given me following my back operation 3 weeks ago …… I couldn’t have managed without her. I know she would love the Giant Teddy & Rose Champagne hamper. I would chose the Giant Teddy and Rosé Champagne Hamper would be amazing to share with my husband and would put smiles on both of our faces. I deserve the champagne but my partner deserves the teddy! I would love the teddy and chocolate hamper as I’m a massive fan of cuddly and scrumptious things. I’d love to win to share this with my husband, as he’s a really good egg! Cheese and Port Choice, I’m all by myself so need cheering up. I would love the giant teddy and Rose hamper as my OH and I LOVE chocolates and Rose wine and we are big softies so we would both cuddle up to the teddy! Champagne hamper is my favourite, can never argue with having anew teddy. Would make a great gift to wife who would love all its components. I’d prefer the Teddy and Chocolates hamper. I deserve one because I’ve not got another half so I’d have the teddy to cuddle instead! Cheese & Port please to give to my mum & dad. A token of my thanks for all that they do! I would love to win the Cheese and Port Choice hamper. We deserve to win as we have 3 small children who despite making us the happiest we’ve ever been, they also make us the most tired we’ve ever been. This would be a great hamper to relax with. I would like the teddy hamper, but I don’t think I deserve to win any more or less than anyone else. I would love the cheese and port hamper, mainly because my daughters would fight over who got to keep the teddy bear! I would go for the Giant Teddy and Rosé Champagne Hamper. I like the cheese & port hamper as those are my hubbys favourites! He deserves a treat for being so amazing! Because my boyfriend has already told me he won’t be buying me a valentines gift! I would like the rose champagne hamper as i doubt I will receive any bubbles this year it is a thin gruel year. I would love to win the cheese and port hamper to share with my hubby. We are both self employed so work lots of hours. We would both be so grateful for this lovely treat! We got engaged recently and are planning our wedding next year which is stressful enough! But I’ve just started a busy new job and he’s super busy at work so we’re really looking forward to having a special weekend together. We’d love the teddy and rose hamper, thank you so much for the chance to win! I deserve a hamper because despite suffering from a long term chronic illness I am studying really hard to try and get into university! I prefer the Giant Teddy and Rosé Champagne Hamper because I’m a chocoholic, and I like rose! I would choose the giant teddy and rose hamper as I would give the teddy to my little big, then my hubbie and I would merrily consume the rest! I would love the Giant Teddy and Rosé Champagne Hamper because I will once again be spending Valentine’s Day alone 🙁 and I need a lovely soft bear to cuddle! 1. I would like to offer a prize for an upcoming Valentine’s Karaoke Disco at work, but the boss won’t let me have a budget! 2. A little treat for myself would be nice, just to ensure I get ‘something’ rather than a sad ‘nothing’! I’d choose the cheese and port hamper – not for my partner (who is teetotal) but as a gift for my parents whose birthdays both fall around now and who ahve been so good to us all these years. Giant Teddy and Rosé Champagne Hamper for me please. I love both chocolate and cheese so it was a hard choice, but I don’t like port. I would love the Giant Teddy & Rose Champagne Hamper because it’s a gorgeous gift and one my girlfriend would adore. I would like to win the Cheese and Port Hamper and give it to my Fiance who is so wonderfully kind. He stayed up with me last night as we kept watch on my poorly dog Bella instead of going to bed and getting a good night’s sleep. He said he couldn’t leave me all alone – ahh! My car has just been written off! Need all the nice things I can get at the mo! I would choose the Giant Teddy and Rose champagne hamper because with the bubbles my hubby and I could toast our 40th wedding anniversary and the teddy would be a wonderful gift for my baby grandaughter who I am seeing for the first time in the spring when my son brings her to visit from New Zealand. I would love the cheese and port hamper, I have tried to keep off eating sweet things and to enjoy savory treats instead and this would be perfect. I would love love love to win the teddy and chocolate hamper for my mum. Her divorce has just come through and this will be her first valentines day alone. I don’t want her to be sad and want to show her I’m so very proud that she left the scumbag. This teddy would show her she’s still very loved. The wine and chocolates would be perfect for toasting her new single life. My favourite is the cheese and port – I love this because I am a huge cheese fan (huge because of the amount of cheese I consume 😉 ) and there’s nothing better than a glass of port to enjoy with it. I deserve it because I’m a very kind person and promise wholeheartedly to share with my very lovely and hardworking husband. Promise. Giant Teddy and Rosé Champagne Hamper because I am very romantic and will make my wife very happy. Ooh I love them both but if I must choose cheese and port please. I think I deserve them as many years ago I gave birth on valentine’s day so now it’s my son’s special day and I get overlooked sob sob! I would love the Giant Teddy and Rosé Champagne Hamper because it would make my husband incredibly jealous wondering who had sent it to me! Teddy for the granddaughter and the rest for the wife to say my world has no meaning without her. Cheese and port please. I am a carer. It would be the perfect wat to relax. The Cheese and Port Choice would be a lovely gift for my husband. His sweet tooth has vanished over the years! I’d choose the cheese and port as a gift to hubby as he has taken my daughter to MIL’s this weekend to allow me to have some relaxation on my own! The cheese and port please. The reason why is because they are probably my husband’s two favourite things to eat and drink. It would be lovely to win to give to him. As to why I deserve to win it, I’m not sure any one person deserves it more than another. However, we have been married 30 years this year, which I believe is a good achievement and relevant at Valentine’s Day. I would opt for the Cheese and Port not only because it looks like a wonderful treat but also because, sadly, there is currently no Mr Valentine in my life. That being the case, I don’t expect to receive anything on Valentine’s Day so I may as well treat myself. I am my own valentine I am starting to love myself these days and it feel good. Cheese and port would be my choice. A perfect accompaniment to the steak dinner that my lovely husband will be cooking. It will be a day off from my diet so this would be a lovely additional indulgence to look forward to. Would love the cheese and port hamper. Would be great to treat my wife to this as she’s amazing and has always been there for the whole family, always thinking of other first. I would go for the Cheese and Port Hamper as Port is one of my favourite drinks, I love chocolate as well but having been diagnosed diabetic in the last year can’t have too many of them which is why I haven’t chosen that one. 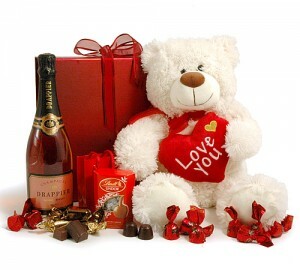 I would love the Giant Teddy and Rosé Champagne Hamper as I only ever get a card on valentines day. the Cheese and Port Choice would be lovely, they taste great together…would be a bit of fine dining to enjoy at home! Special for Valentine’s Day. I deserve a Valentine’s Day hamper for being single for the last 10 Valentine’s and never getting any gifts! I’d take the giant teddy hamper, so I have something to cuddle. I would choose the Giant Teddy and Rosé Champagne Hamper as The teddy is really cute, love champagne…and chocolate no brainer!! I deserve to win because I would share it as a Valentine’s treat with my hubby!! I think both sound great, but I’d probably opt for the Giant Teddy and Rosé Champagne Hamper as I love bubbles and my little one would adore the teddy. 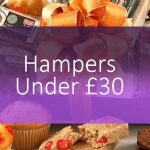 We didn’t get to celebrate our big anniversary last year as we had a newborn, so a little hamper for this year would be perfect! I’d love the giant teddy and rose champagne hamper. The teddy would be claimed by my two daughters and given lots of cuddles and kisses. While he’s keeping them company, mummy could enjoy the gorgeous champagne in peace. Savouring every moment and last drop. Cheese and port would be my choice …over indulged on chocolate last month ! I would love the port and cheese one. I would give it to my partner who deserves to know how much I love him, and how special he is. I’d love to win the cheese hamper to share with my gorgeous husband. He always works Valentines night but actually has the evening off this year so I think he deserves a treat! Cheese and port. I deserve this. I work hard and do what I’m told by er indoors!! I like the Cheese and Port hamper and I deserve it because I have four teenagers! So I have a need case. I would like the giant teddy and champagne set please I deserve it because my husband doesn’t do valentines ( we have been together for 17 years ) so this would be my first valentines pressie in a long time! I would love the Cheese & Port hamper for my other half because he deserves it for putting up with me!!! The Port & Cheese Hamper because I`ve got a girl in every port and cheese is my favourite food. I don’t deserve a hamper, but my fiance does for Valentine’s Day – the cheese and port one would be a fantastic surprise for him. He deserves it as he supports me so much and it would be a lovely thank you from me. I would like to win in order to share with my Grandmother. I’d like the giant teddy and rose hamper please and I deserve it because I’m single again this year! Hamper would be nice, request from the Cat. What about me ? He’s sitting here watching me type. I wonder if pets know it’s a special day ? 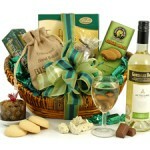 I’d love the teddy and champagne hamper, its fab! I’d love the Cheese and Port hamper. I won’t be getting a valentine this year so this’ll be a nice gift to myself! The cheese and port hamper to impress my fella! I love the cheese and port one – I deserve it as a busy foster mum and 4 children of my own when I get time to myself I want to enjoy it. I’d love this for my Hubby…since my illness he has run around looking after me without a thought for himself, this would help to show him how loved and appreciated he is. I deserve the hamper because I’m special. I love cheese and port. I’d so love to win the grown-up hamper of Port and Cheese for me and the lovely Terry, we both love a good cheese board and a nice glass of port, we missed out at Christmas and I think it would make our Valentines night to have such a treat just for ourselves. Also I won him a Giant Teddy a few years ago and frankly our bedroom’s not big enough for 4! Well I love anything with Port in, but as it’s Valentines I better go for the Giant Teddy and Rose Champagne. Well I’d give this to my boyfriend so the port and cheese option would be ideal as a manly valentines gift, he really deserves it for being amazing! I like the giant teddy and champagne set, could do with a treat and money is tight at the moment. I would love the cheese and port hamper and I think I deserve it because I survived January relatively unscathed! I would choose the Giant Teddy and Rosé Champagne Hamper because I love chocolates, champagne and my granddaughter will love the Teddy! Oh, cheese & port please, I didn’t get any last Christmas. i think my husband deserves the cheese and port hamper it is his favourite tipple and the only time he allows himself to have a drink is on a Saturday as he is a lorry driver and tends to do a lot of hours and i would just like to tell him i love him and how much i appreciate all that he does for me and our sons. I love the giant teddy and the rose champagne hamper…y do I deserve it?? Well I don’t over anyone else, just due 2 a condition I have its very difficult and painful going out so a lovely night in with champagne,chocolates & a big teddy one side & hubby another to cuddle into I’d be very happy girl!! I’d like to win the Giant Teddy and Rosé Champagne hamper, if i won this i’d give this to my girlfriend, shes deserves so much and i’d love to see her face giving this to her, it would earn me alot of boyfriend points too! goof luck everyone! I would like to be considered for the cheese and port hamper. I am a chef and I will be working for 14-15 hours on the 14th. My fiancée will be 4,000 miles away on the day. I would love to come home to some good cheese and to share the port with her when we are reunited. I don’t like port, but I love cheese. Dilemma! I cant think of a better way to spend Valentines with lovely chocolates & a lush bottle of plonk with my one & only. i would choose the cheese and port to share with my family, thank you. I deserve the cheese and wine hamper because i have been dieting forever! Lost 5 stone and this would be an excuse for a break and a beaneo! I would love to share the Giant Teddy and Rose hamper with my husband. With 2 young children weddon’t get to go out much so it would make a romantic night in. I’d like the Giant Teddy and Rosé Champagne Hamper because me & hubby could have the champagne & chocs and our little girl could have the teddy which should mean she’d give us a few mins peace to enjoy them. I’d love to win the teddy bear and chocolates. I have stuck to a new year diet so well since the start of January that I think I deserve a nice valentines day treat of my favourite chocolates, and the teddy is just too cute to resist. I’d be absolutely ecstatic to receive the divine Giant Teddy and Rosé Champagne Hamper. At the end of last year I underwent two major hip operations to fix my hip dysplasia, it really has been the hardest thing I have ever been through and it’s a really tough and frustratingly long recovery full of highs and lows. I am going to be alone this Valentine’s day, my mobility has been very bad for years previous to my procedures and I haven’t had the opportunity to meet anybody special. This would put a huge smile on my face!! My husband doesn’t believe in Valentine’s Day as he feels you should show someone you love them every day of the year. Which is true but it would be nice to be really spoilt and have similar gifts that I see my friends getting! I choose the Teddy and rose wine hamper as I could give hubby the teddy and enjoy the wine myself on the big day itself!! The Cheese and Port Choice needs to be mine because no one appreciates cheese like I do! The cheese and port hamper has something for each member of the family to enjoy. We deserve a treat as the cold, wet, stormy weather is getting us all down in the doldrums. I would like to win the Giant Teddy and Rosé Champagne Hamper not just for myself but to share with my husband. Now we have a family going out on valentines is a thing of the past so it would be nice to have something to enjoy that evening once the kiddies have gone to bed. Giant teddy and chocolates- just to see my little boys face when he sees the big teddy!!! Choccies would be all mine!! My husband doesn’t believe in Valentines Day so never buys me a card or present. I think it’s just his way of getting out of it. The Giant Teddy and Rosé Champagne Hamper because I love chocolate. I would love the Rosé Champagne Hamper, as the nearest thing to a valentines present I have ever got from my husband was a bunch of roses that were given to him by the women he was doing some gardening for. She told him he had to give them to his wife and try to be romantic. When I saw them I asked him where he had stolen them from! So anything would be lovely and I would even share them with my husband! A Cheese and Port Hamper would provide the finishing touch for a perfect Valentine’s Day. Would love to win this please. Giant Teddy and Rosé Champagne Hamper please – just to be able to give something nice to my GF ! The cheese and port … it looks sophisticated ! I would love the cheese and port choice as my grandchildren are a bit big for teddies now and hubby, who has looked after me so well recently, is a big fan of port. I would like this hamper to give to my girlfriend. She has supported me emotionally, physically and finacially for 3 years since I have been at uni training to be a nurse whilst working very little having to fit it around studies and placement. She en through a sudden job loss and stress to get us here. I qualify in August and she can then finally start relaxing when I am able to help more financially, emotionally and physically. She deserves to be spoilt at everyday but this is one time I can spoil her truly. She is a champagne lover and of course lindt lover. So it has to be the Giant teddy and Rose champagne hamper. I would love the Teddy Bear and Rose Champagne Hamper as I’m now 56 and no-one has ever given me anything half way romantic so I think the only way is for me to win it for myself ! The giant teddy and rose champagne hamper looks so amazing – that’s definitely my favourite! I believe I deserve the Teddy bear hamper due to the last few months of my life. It has been absolutely horrible. My Grandmother died. The woman who brought me up from birth. I had hardly spent a day away from her. Now I’m dealing with funeral bills whilst being fired from my job due to depression (From the death). I think this hamper would finally be the start of my happiness coming back. Especially with that cute teddy bear to hug and befriend. Cheese and Port to share on my first valentines with my boyfriend please! The Cheese & Port Hamper sounds like Heaven to this elderly angel. Giant Teddy and Rosé Champagne Hamper. Because I love chocolate . I’d love to win the Giant Teddy and Rosé Champagne Hamper because I don’t have a Valentine this year so if I don’t win, I won’t get anything. i would like the Giant Teddy and Rosé Champagne Hamper, i would give it to my fiancée a he is amazing, and love him soooooo much <3. I love cheese so I would love to win the cheese and port hamper…I don’t drink alcohol so I would give the port to my dad! Thank u! I deserve it in the same way every working mum does….I’m basically Supermum! I’d love the Giant Teddy and Rosé Champagne Hamper. I would live to win the Giant Teddy and Rose champagne hamper..
We are just about to celebrate our daughters first birthday and have moved into a new home. Romance has had to take a back seat for a while so this would be perfect for a romantic evening in.! I’d love the cheese and port hamper as I’m not done with cheese from Christmas time. I deserve a treat on Valentine’s because no one ever gets me anything. I would love the cheeses and port hamper. Yum. I’d love the giant teddy and rose hamper, because my mum just loves teddies and has a little collection going now! Would love to win this, moved into our first home last year, money is tight and giving him this one be a brilliant surprise. He would love it! I would love to win the teddy and Champagne as my hubby never gets me anything for Valentines day! The cheese and port hamper, in order to pamper, for all my colleagues at work, to give us a perk. i deserve the cheese and port because, not sure why above others perhaps because I am lucky!!!! Would love the Cheese and Port Choice to share with my other half – haven’t won anything for him for ages ! It has to be the champagne one, for my wife, two glasses has been found to be the required dose. I have never celebrated Valentines day, as my hubby thinks it’s just a con to charge more for flowers lol Well that’s his excuse!!! I’d love this for me as I have nobody to buy me a valentines gift! I would love the Rose hamper please to drown my sorrows! I would love to win the Giant Teddy and Rosé Champagne as I would give the teddy to my wonderful daughter, share the chocolates with my son and drink the champagne, sharing a special hamper with the special people in my life. I would choose the Cheese & Port hamper. Perfect to help us celebrate moving into our new home. I’d love to gift the cheese and port hamper to my other half. We’ve been together for 28 years this year and he’s my best friend and rock. A fabulous dad who works hard all the time, he deserves a nice treat. The giant teddy and rose hamper is lovely. Chocolate, wine and a teddy – what’s not to love! I would choose the giant teddy and rose because the teddy looks so cuddly and I love rose wine. I want to start this year off with some “Good Luck”, this would be a great start…..
the cheese and port one looks very classy! I would please love the Cheese & Port Choice hamper, as I have been working overtime every day since November at a busy secondary school and I currently have a bad cough, and a cold commute! I would love the Giant teddy hamper because after 9 years of marriage, valentines day is just another day,However this might make this valentines a lot special! I would chose the Giant Teddy and Rosé Champagne Hamper and deserve to win because I am a busy Mum/worker/student who deserves a treat! Would love the Giant Teddy and Rose champagne hamper to give to my wife as this is our 20th year together. Especially to thank her for everything she does for me and the boys. I’d love to win this Champagne, Chocolate, Teddy Hamper for my partner of 16 years normally we don’t do Valentines day however this would certainly put the spark back into our relationship and rekindle the Love :). I would love to win this for my wife, I know the teddy bear one would make her day (I would pretend it wasn’t a prize). Cheese and port please. I have no issue with being alone this Valentine day but a posh pudding will help it go with a swing. I WOULD LOVE TO WIN THE TEDDY/CHOCOLATES AND CHAMPAGNE HAMPER PLEASE. THANKS FOR A VERY GENEROUS COMP. ALWAYS WELCOME IS A NICE BOTTLE OF FIZZ-THIS COMP IS ONE NOT TO MISS! I just showed my husband and he would want me to win the Lintdor Ginat teddy and Rose hamper so i would like to win it for him.ive been dieting so maybe by valentines day Ill be able to have a chocolate! I have stuck to dry January and no choccies so far and will get to the end! I even had alcohol free wine at my friends 50th birthday party!!!! For my wife. She has suffered a second slipped disk in as man years and is in some distress…….this will not remove the pain, but will make her smile again. 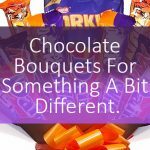 I’d love to win the Cheese and Port Choice hamper to share with my husband as it’s his birthday just before Valentines Day and he deserves a treat as he’s been so good over the past few months mending my car, fixing my computer and buying me flowers! I would like to win the teddy and Rose hamper as me and my family would enjoy. I would love the Cheese and Port hamper to share with special friends for my husband’s 60th birthday. I would choose the Giant Teddy and Rosé Champagne Hamper and I deserve it as I’ve been saving so hard for my wedding (coming up in June!) and would love a treat…might even share it with my soon-to-be hubby! I would love the cheese and port hamper to give it to my mum for helping me out lots lately. This would show her how much I appreciate everything she has done! I’d love the cheese and port hamper to treat my mam with! I’d love the cheese and port hamper as Valentine’s Day is so sweet it needs a savoury balance to be perfect for a couple who compliment each other just like my husband and I.
I would chose the Giant Teddy and Rosé Champagne Hamper because it would be the perfect hamper for Valentine’s Day. I would love to win the Cheese & Port Choice Hamper. I would love to be able to share it with my four children & their partners as they have been so amazing taking care of me since their dad sadly died almost 2 years. Encouraging me to get out of the house & involve myself in activities despite being busy with jobs and their own children. We’d have a fabulous Valentine’s Day! I don’t deserve either but my husband deserves the cheese and port hamper as he’s been working his socks off and would love an evening of kicking back and spoiling himself. I would choose the Cheese and Port Hamper.I’m not in a relationship so this would cheer me up and as cheese is supposed to make you dream I may have a lovely dream about a tall handsome man. I’d like the teddy & rose champagne hamper. It would be nice to have something nice this year. we usually make home-made cards & just cook our favourite meal, so it would be nice to have some champagne for once! Giant Teddy and Rosé Champagne Hamper because it looks delicious and it’s just what we need on a night in! I would like to win the valentines hamper as I am currently at home recovering from my injuries from a road traffic accident and when my husband is at work i’m home alone and miss him so really could use the giant bear to give me a cuddle and cheer me up. I would like the Cheese and Port, as you have a combination of sweet and savoury snacks to choose from and a nice bottle of Port to have a little tipple with after a working a week of shifts. I would love the cheese and port hamper as a surprise for my partner, who has been applying continuously for jobs and deserves a treat. I would love the Cheese and Port Choice, it would cheer up what has been a very dreary January and make me feel so good! I would be delighted to win the cheese and port hamper so I could surprise my father with it, who has been unwell all through christmas therefore missed out on all the indulgences. Giant Teddy and Rosé and Champagne Hamper would be the perfect reason for a special Valentines celebration. would love to win this I can’t remember when I last had a giant teddy! I love rose champagne and Lindt chocolate so this would be perfect for me and the hubby. Would love the teddy and champagne for just me, to consolate for being alone on Valentine’s day again! To be honest – I just really want the chocolates in the teddy hamper. I would give the hamper to my friend who’s birthday is also on Valentine’s day and will finally be getting married in May! The giant teddy and champagne hamper please because I am such a romantic and would love to arrange a surprise dinner for my partner without the boys around and we could have the champagne and chocolate’s as a very special treat and my niece collects teddy bears and would be over the moon if I gave her this one as a gift. Giant Teddy and Rosé Champagne Hamper because I am a yucky romantic type and my lovely lady would appreciate it greatly. its so cute and lovely! The giant teddy and rose pls! I’m v ill, and would love to have a special day w the one I love! I deserve a hamper because I’ve been through a lot last year, including 3 surgeries which is a lot for a woman of only age 23 and i’m stressed out and this would cheer me up! I would love the Cheese and Port Hamper so i could share it with my husband as we are both cheese lovers. I think I deserve it because, after 29 years, I no longer get flowers or chocolates – just a card, so it would be a real treat. I’d love the cheese and port hamper for my boyfriend of two years. At 49 and 52 we have found a truer love second time around and he deserves this so much for helping me see that my life wasn’t over after all – and I got him a teddy for Xmas so he has a bear already! I would love the Giant Teddy and Rosé Champagne Hamper because I am struggling with my uni work right now! I absolutely love cheese and port so that is the hamper I would prefer. My partner never buys me anything for valentines so I’m going to try and win something for myself! Would love th teddy bear hamper as cuddling the bear will take my mind off the pain. …because in the absence of diamonds, chocolates, champagne and a cuddly bear are a girl’s best friend. Rosé Champagne Hamper to celebrate our 20th anniversary this year. I’d give the teddy to my little daughter as she’d love it! I would love the Giant Teddy and Rosé Champagne Hamper as our Daughter was born on a Valentines Day and it would be lovely for us to share on her birthday. I’d love the Cheese and Port Choice, please! I’m a massive cheese fan, and I love that there’s a sweet treat for afterwards in there too! ‘d love to win as my other half always forgets to buy something for valentines so winning this would be a nice treat for me. i’d love the cheese & port hamper as it combines my 2 favourite things. The Cheese and Port Choice – my birthday is next to Christmas so it never feels special – I could do with the treat. Unfortunately valentines day is a painful reminder that I’m single and nobody loves me! Id love to win the Cheese and Port Choice so I can join in the fun and be spoilt too! The cheese and port hamper. I would give it to my dad for all the help with the planting and gardening he does. He is a star. He deserves it not me.. But i am sure i could help him out! It would just be a lovely treat. I’d love the teddy and champagne hamper, as my kids would love the teddy! I would love the Bear Hamper because it would be nice to get something for Valentine’s Day, I have always said it’s stupid and I don’t care that I never get anything (and never have), but here’s the thing, I do care and I would love to get a Valentine gift so will you be my Valentine? I would love to win the cheese and port one so I could treat my husband! I’m single again this year and so will be avoiding anything heart-shaped! The cheese and port hamper would be lovely though! I would love the Giant Teddy and Rosé Champagne Hamper because I would love to give it to my lovely hubby but money is tight due to ill health and not being able to work. I would love to win the cheese and port hamper as I LOVE cheese and port at Christmas .. I have a terrible cold and would love a hamper to cheer me up. I’d love the Cheese & Port hamper. It has to be Chocolates nod Red Roses maybe have the ironing done as well. What a difficult choice. I should pick the Valentines Hamper, just to prove to my other half that I can be romantic. But …. I cannot resist Port and Cheese, so this would have to be my first choice. I deserve to win because I would share it with the family … honest! i would love the cheese and port hamper i love cheese! I would love the Giant Teddy and Rosé Champagne Hamper because it’s something me and my husband can share and have a romantic night 😉 plus i can cuddle up to the teddy in the nights when my hubby is working nights.. I would love to win the cheese and port hamper to give to my mum who deserves a treat and loves cheese. Port and cheese please. No particular reason, just would be nice to win something for a change! The Cheese and Port hamper looks delicious! I’m sure I don’t deserve a hamper more than anyone else but I’d really ENJOY eating my way through it! would love the Giant Teddy & Champagne hamper to share with my Hubbie, we are celebrating 32 years marriage this year! My hubby deserves a hamper as he has looked after me and our daughter during our long illnesses and never complained. I would love to win the Cheese and Port hamper for him as cheese and port are two of his most favourite things. I would like the cheese and port hamper, i think i deserve it as i work at a busy hospital, I like this hamper because i love cheese. I would choose the both hampers because I love cheese and port and I love teddies and rosè champagne . The cheese and port hamper please. Me and the hubby went to Oporto a few years back and did some amazing tasting. I would love to share this with him as he hasn’t had a voice for three months, this would cheer him up lodes. I would love the Cheese and Port hamper for my lovely husband as I don’t really deserve a hamper but he sure does as I have had him running around after me as I’ve not been well recently. He deserves a lovely treat for being such a trooper. I would love the cheese and port! Not sure why I deserve it, I have tried to keep my resolution of making someone smile every day but am I worthy?! 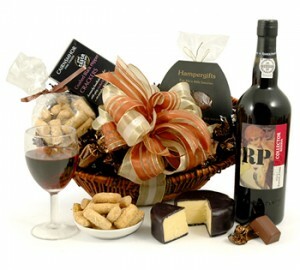 The cheese and port hamper would be a great treat for my hard working husband. I would love the cheese and port choice because we are both vintage and mature like the cheese and I have the character of a five year old, like the port. My wife deserves the Giant Teddy and Rosé Champagne Hamper for all the hard work she does running the household, and cooking, cleaning, ironing etc to make my work/life balance a lot easier! Cheese and Port Choice – I just like to sin. I would love to win Cheese and Port Choice because I am cheese lover 🙂 Fantastic prize! I’d love the Champagne hamper to save to toast the new me for when I reach my target weight. I’ve lost almost 3 1/2 stone in as many months & am well on my way & with lots of willpower & determination I know I will do it. So some will show ther love. Who doesn’t love Champers & a gorgeous Teddy Bear? I deserve to win because I am a romantic but know I won’t be receiving a Valentine’s gift. I would choose the Giant Teddy and Rose Champagne hamper because I love cuddles, Champagne and chocolates – my 3 favourite C’s! I’d love the cheese and port hamper because I enjoy luxury and decadence. I would love the giant teddy and champagne hamper. It is something my husband and daughter can share (daughter the chocolates, us the champagne). We deserve it because we need a treat after doing lots of work in our new house. I’d love the Teddy and Chamagne hamper, we’ve had some disastrous Valentines days (including the one where he took me to Amsterdam for the weekend but hurt his back on the way and spent the whole time dosed up on painkillers unable to leave the apartment!) … he tries so hard but it tends to go wrong, this hamper would ensure that this year’s celebration got off to a good start! I would love the Giant Teddy and Rosé Champagne Hamper because it would be a special treat for me and my someone special. I’d love to win the Giant Teddy and Rosé Champagne Hamper as I love chocolate, anything Rosé and Teddy’s gorgeous! My husband and myself don’t bother buying cards/pressies on Valentine’s Day now (too many years together! ), so this would be a lovely treat for me and a little reminder for him that may be I should be appreciated a little more! I would love the Giant Teddy and Rosé Champagne Hamper. I would love to win so we can celebrate Valentines day in style with bubbles. I’m single but would love this. Chocolates and champagne would definitely help me not care about being single on yet another valentines day! I would chose the Cheese and port hamper – to give to my father in law as he is a great help (together with his wife) with my kids. The Giant Teddy would be for the new baby in our family, the Rose champagne for our 50 years of marriage. The Lindt Lindor chocs were what our Mothers brought on their visits for several years – would bring back so many happy memories for our family.